Beside the seaside, If you’re looking for a slightly different kind of property investment, you could do worse than the typical British beach hut! A relic left over from the Victorian era, they are as much a part of a visit to the seaside as ice-cream, donkey rides and of course, the odd rain shower. Popularity seems to be growing for these miniature beside the seaside dwellings. A development of new beach huts just nearing completion on the side of a cliff in Torquay, Devon consists of six huts, each costing in excess of 2 million pounds to build. The interior features a mezzanine floor with a king size bed with porthole window sea views, a spacious lounge and even en-suite facilities. 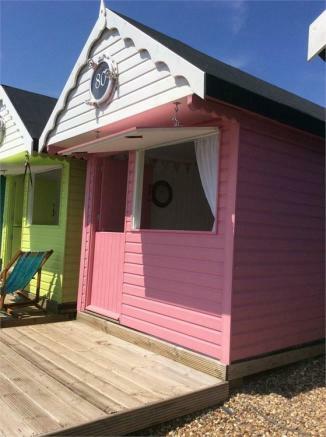 It’s a far cry from the Victorian original, a stay in one of these luxury beach huts will set you back £375 a night. It seems that we just can’t resist these cute little huts! A row of eight wooden beach huts on a remote sandbank on Mudeford in Christchurch went on the market last summer for £200,000 each, despite having no running water, toilets or mains electricity. The 15-foot by 10-foot timber chalets were up for sale for a combined £1.6million, which means they cost a whopping £1,333 per square foot. If, however, this is a little out of budget, you can still experience the atmosphere of the humble beach hut by renting one out for a week or two. Prices typically start at around £50 a week out of season right up to £1,250 for a hut in peak season in prime locations. This beautiful little hut will set you back a mere £19,000 ! Situated on the Southcliff promenade in Walton on the naze. 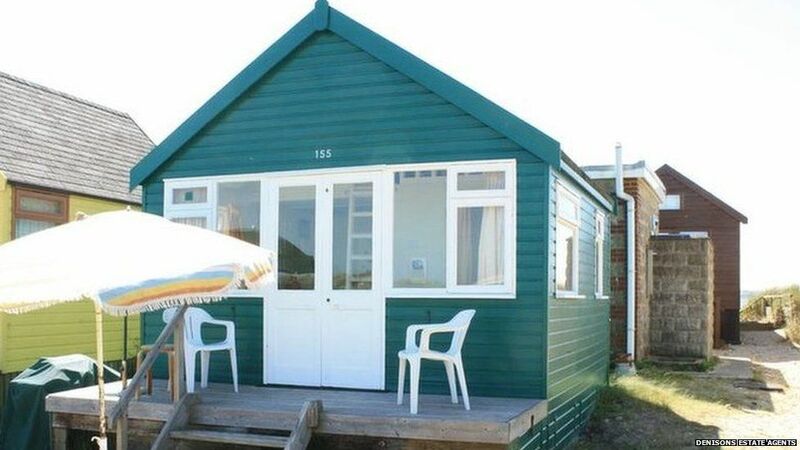 If you have a spare £225,000 this hut in Mudeford could be right up your street !